This was created live as Whitney and Kenny danced their first dance. I used an iPad Pro, Apple Pencil and the app Procreate. 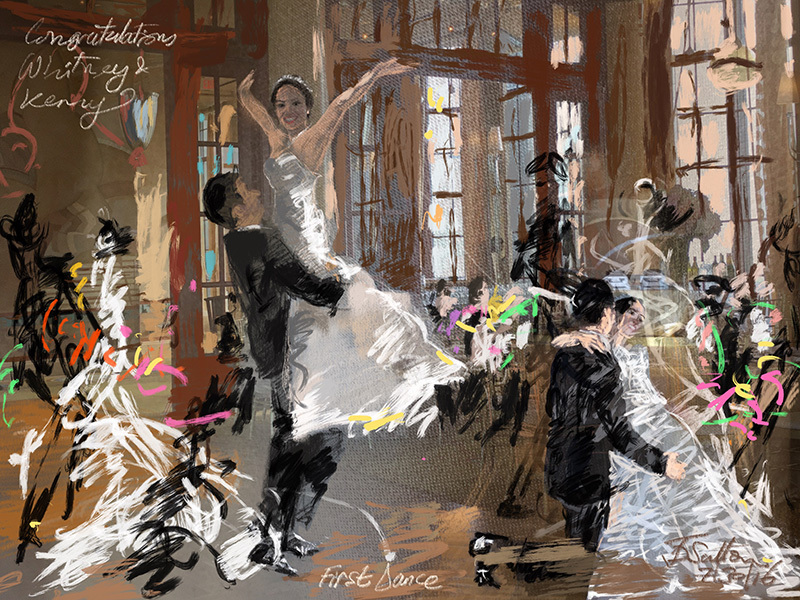 I initially worked on the background using some reference photos I took on my iPad of the wedding couple practicing (including their favorite move!) Then I worked live as they danced and followed up with a few finishing flourishes of color! You can see the whole process in the replay video below, which includes as a sound track the song they chose for their First Dance: A Thousand Years by Christina Perri.